The question of whether a seizure-like event is a true epileptic seizure or some type of pseudoseizure is often very hard to sort out. Oftentimes (in fact, most of the time) these events do not happen in front of us. We just hear reports from the deputies of “something happening–looked like a seizure.” Or perhaps the patient himself will tell us that he had an seizure, like the patient I saw recently who told me “I’ve had four seizures this week.” Of course all of them were un-witnessed by anyone else. Even though you might suspect that these un-witnessed seizure-like events are pseudoseizures, you should be very cautious about labeling such events “fake.” The absolute worst mistake that you as a medical provider can make in these cases is to declare an event “fake”—and be wrong. Until you are very sure, it is better to assume that un-witnessed events are real–or at least keep that possibility in the forefront of your mind. Until you have more evidence, you just don’t know for sure. That is why it is so valuable when a patient has one of these seizure-like events right in front of you. This is the one opportunity to use objective findings to distinguish a true epileptic seizure from a pseudoseizure. I discussed in my last post the various differences in presentation between epileptic seizures and pseudoseizures, such as the nature of the shaking, eye deviation and a post-ictal period. Unfortunately, however, none of these findings are perfect. To this end, remember that the single most important difference between a grand mal epileptic seizure and one of the various types of pseudoseizures is this: patients having grand mal seizures are unconscious. Patients having a pseudoseizure are not. And that is where ammonia capsules come in. In my opinion, ammonia capsules are the single best method for determining whether a patient is conscious or not. Ammonia is much more reliable and effective than, say, the sternal rub and other painful procedures that are commonly taught. The reason that ammonia is so effective at differentiating conscious from unconscious is that the reaction of a conscious person to inhaling ammonia is reflexive. Conscious people cannot blithely tolerate ammonia. They will always turn away from the capsule in a dramatic fashion. So all we need to do is make sure that the patient in question takes one good inhalation of the ammonia. That’s all it takes! If they don’t react in any way, they are unconscious. Otherwise, they will turn away, cough, tear and sputter. The problem is that many medical practitioners do not know how to use ammonia capsules properly. And if improperly used, they can be ineffective, misleading and even worthless. The most common mistake made with ammonia (that I have seen, anyway) is when the patient never breathes it. Often, patients will just hold their breath. If you dangle the ammonia in front of the patient’s face for 30 seconds and the patient held his breath the whole time, it won’t work. You must outwait the breath-holding. The second most common mistake is to hold the ammonia in such a position that the patient can surreptitiously breathe through the corner of their mouth furthest from the capsule. Here are two pictures of ammonia being used incorrectly. In the first, the ammonia is just being waved in the patient’s general direction. 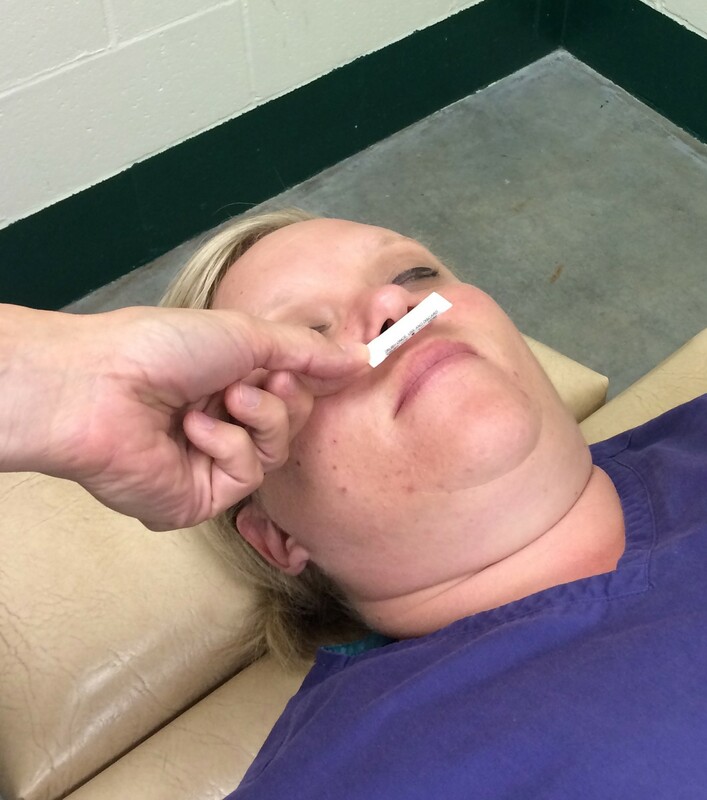 In the second, the ammonia has been placed beneath the patient’s nose, allowing the patient to avoid it by breathing through the corner of her mouth. 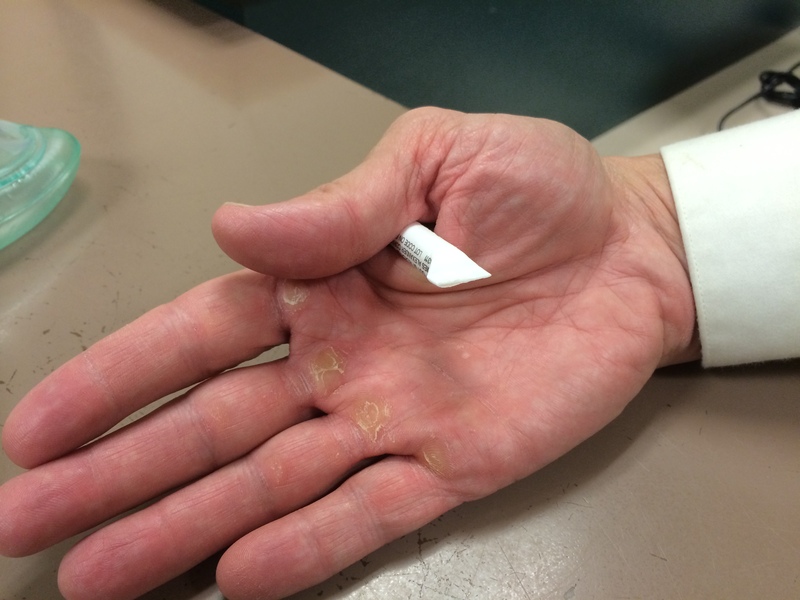 A better technique for using ammonia is to break the capsule and then tuck it between the thumb and index finger, as shown. 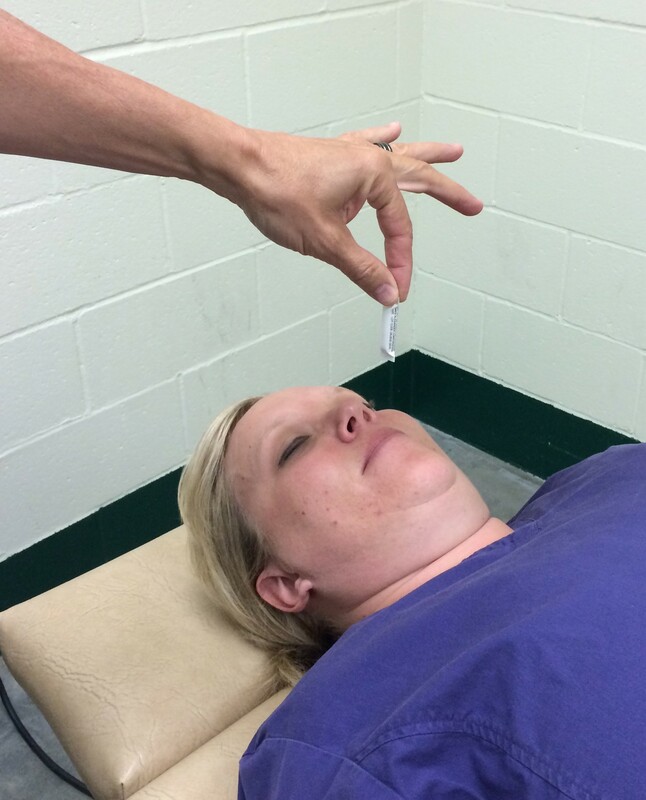 Then cup your hand gently around both the patient’s nose and mouth (there is no need to clamp tightly) and wait for the patient to take a breath. 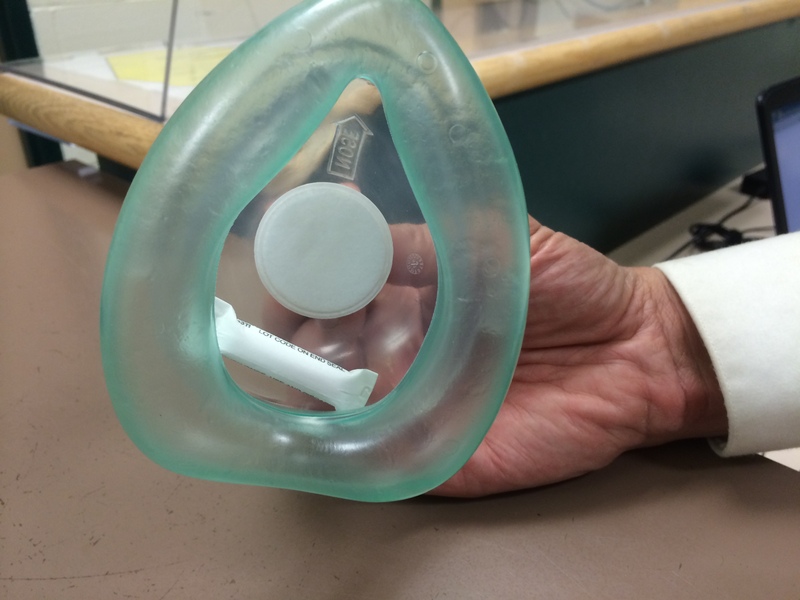 You can also place the ammonia capsule into a mask and hold this gently over the patient’s face. If the patient holds his breath, you may need to wait—sometimes for over a minute. Of course, you should be observing carefully so you know when the breath occurs. If the patient is unconscious, she will take a breath and have no reaction. However, if the patient is not unconscious, when she takes a breath, she will immediately turn away from the ammonia and cough. At this point, the ammonia has done its job and you should withdraw your hand. What comes next is equally important though. 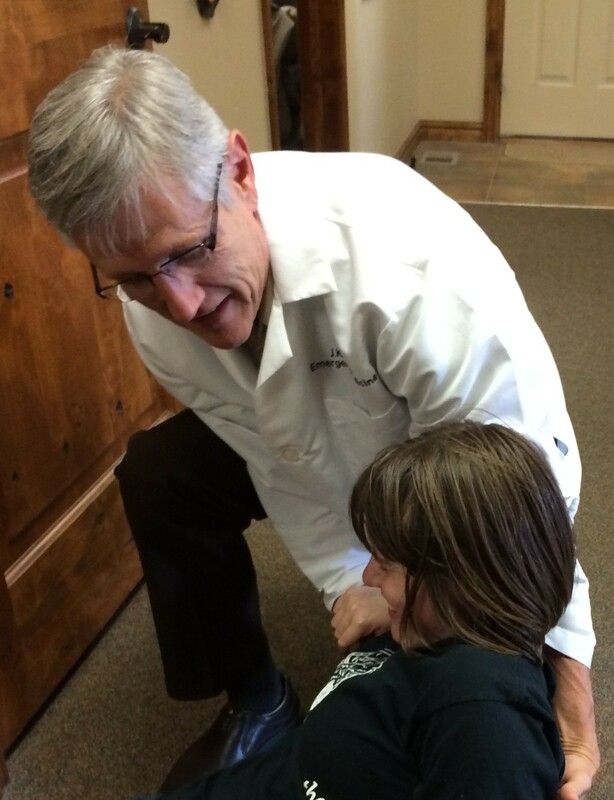 When the patient turns away, help them to sit up while saying something like, “Great! I’m glad this event is over. Sit up so we can talk.” I usually will have the patient actually stand up and walk somewhere else, like a nearby chair, to cement in their mind that this episode is over. I have found this technique to be very effective. However, it is a mistake at this point to just walk away. What you say next when you discuss the event with the patient is at least as important as the ammonia capsule itself. Your overall goal here is for the patient not to have any more of these events. When I give the post pseudoseizure talk, I try to emphasize a couple of important points. First, although this event was real, it evidently was not an epileptic seizure. And that is good news, because epileptic seizures can be dangerous and because I don’t have to prescribe potentially dangerous drugs. Second, I emphasize that (great news!) we have discovered a medication that can stop these events from happening—ammonia! I have found that allowing the patient to save face plus the knowledge that any more events will result in another unpleasant encounter with ammonia does wonders to slow down the incidence of pseudoseizures. This is very important to remember: Up to a third of patients who have pseudoseizures have real epileptic seizures as well. Do not make the mistake of thinking that since this one event was proven to be a pseudoseizure, the patient cannot have a real seizure. 1. Break the ammonia capsule. 2. Grasp the ammonia capsule in your palm, between your thumb and index finger (or alternatively, place the ammonia capsule in a mask). 3. 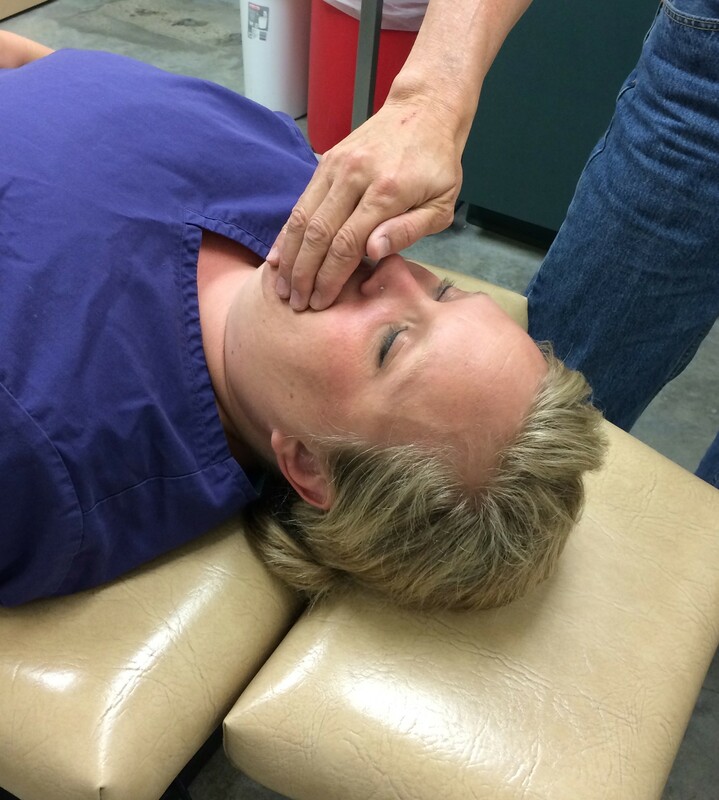 Place your hand loosely over the patient’s mouth and nose. 4. Wait for the patient to take a breath. Observe closely! 6. 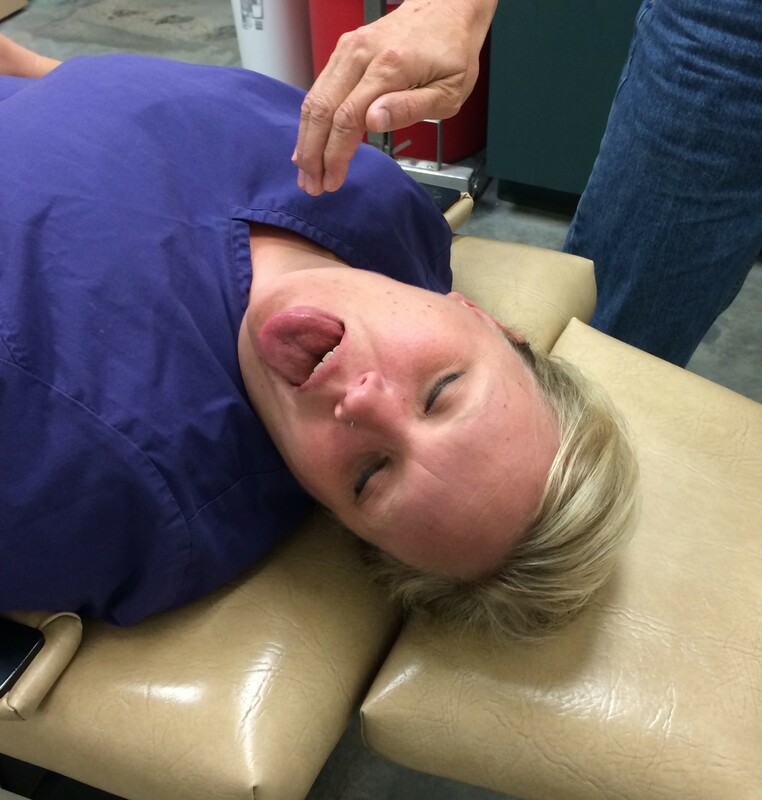 Move the patient to a chair. 7. Talk to the patient about what just happened. Do not humiliate them. Emphasize that what they experienced is not an epileptic seizure, but something else. We know now how to make it stop, using ammonia. Mandatory Disclaimer: Once again, what I have written here is my own opinion based on my training and my experience. This approach has worked well for me, but is certainly not the only way to approach seizures and pseudoseizures. Feel free to disagree with me! I could be wrong. If you do disagree, or if you have an alternative approach to these difficult patients that works for you, please tell us about it, in comments! This entry was posted in Drug Evaluations, Medical Practice, Neurology, Procedures and tagged Ammonia capsules, correctional medicine, evidence based medicine, inmates, jail medicine, jails, prisons, pseudoseizures on July 15, 2014 by Jeffrey Keller MD. Thank you for sharing this valuable information. Sometimes the obvious that which is right under our noses (literally) is the least obvious! I fully intend to share with those clients serviced by our pharmacy and my immediate contacts at the jails and prisons I consult. Thanks again!! Thanks for the kind comment, Eric! Hello Dr. Keller. As Supervisor of the Neurophys. lab I have been directed to create a Policy for the use of Ammonia capsules during EEG for suspected non epileptic events. It would be of enormous help to me if you could guide me with literature as the guide lines to compose a policy for the use of ammonia capsules at our facility. Any and or all suggestions would be greatly appreciated. Agree with the technique and used a similar hold. Discussing with the patient is helpful and they remember you for it, as I had one patient in the past that when I arrived on scene and my name was announced he would wake up and state “I am alright now.” One question –> where are your gloves? Good eyes! I was not wearing gloves for the photo shoot. Thanks for catching that! I wish I had read this page 3 days ago! Would’ve come in handy! Of course the patient I was dealing with only spoke Somali, so getting a history was almost impossible. Handy little tips! I will be back. I am a RN in a 250 bed county jail. I faithfully read your newsletter and find a lot of helpful information. Do you have any thoughts about jails and prisons serving soy as the source of protein? Since our jail has gone primarily to soy we have seen an increase in GI symptoms especially chronic constipation. Most of our inmates are repeat offenders and have never had problems with constipation in the past. Do you have any data or opinions on this topic? Thanks for an excellent article, and I hope my comment isn’t too late. I’m a paramedic in a venue servicing both a local prison and a population in which significant mental health issues are present. That experience brings two observations to mind when I read your article – I’m *really* not fond of putting my hand (or any other part of my anatomy) within easy biting distance of a patient when I harbor any concerns regarding their actual responsiveness, and this concern would lead me to use the mask technique you describe rather than holding the ammonia ampule in my hand. I’d also take the extra step of taping the ampule to the mask to avoid any risk of accidental aspiration. As a Psychiatric RN working in addictions/forensics both adult and kids/teens: I really enjoyed this article. Especially the bottom line : arousal with Ammonia cap inhalation definitely defies an unconscious episode. I am used to inmates that can really hold out despite their initial turning away, and the response is to turn away and then begin a sequel abnormal movement event, or simply have another unresponsive episode with eyes closed, appearing to have passed out. 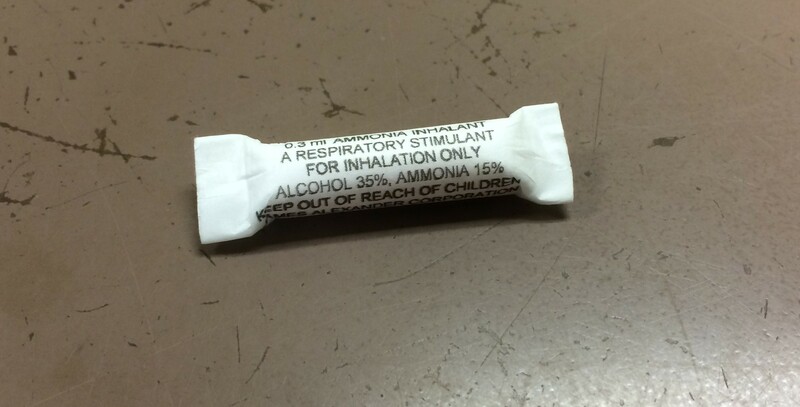 I have gone through 2 ammonia capsules once at a prison. The technique I learned there was a little tough, but gives the patient much less ability to avoid smelling the ammonia. Simply I hold one end of the activated capsule just at the opening of one nare. With this method, it is difficult to avoid smelling the ammonia. The person cannot just breathe out of the opposite nostril, and if they open their mouth to avoid , chances are they will also have a swallow reaction, and open their eye a bit /turn away. I find they sit up on their own quite a bit quicker (albeit a little irritable), and removal/disinterest of the audience is quicker too. Meanwhile, if they are behaving with possible postictal signs, appearing to be asleep, (I have one that normally hyperventilates very loudly), I take that opportunity to take the vital signs, calmly stating when in normal range; for reassuring the patient (and direct care staff) briefly, calmly / matter of factly and give simple directives for a few more minutes of assessing. For example, I may obtain an order for labs if they do have a valid seizure history; I may have them on monitoring status in treatment room, have them drink water, take their scheduled meds and/or prns, inserting a “wow you must feel a little anxious when you were hyperventilating like that; do you feel you need your vistaril prn” etc. I make sure to mention the Doctor to remind them that an expert is in charge of their treatment (supportively of course) -tonight I did have to express concern that I hate to use the ammonia packet a 3rd time because of possible serious side effects. My patient’s gait became quite steady, and his hyperventilating stopped, and he was definitely alert and oriented x4, as we started out together to the treatment room. Excellent post, Roxy! Thank you. Great article and advice for discernment. Another RN working in corrections. I adore Ammonia caps as a r/o tool. It has saved us from many an unnecessary send-out to an acute care facility.